Three friends went out for a “girls” night Thursday evening and had absolutely no idea what they had in store. The trio chose to have dinner at at a local restaurant, and while they had no complaints about the food in the establishment, the outrageous bill they received hurt to the core. But wait… it wasn’t the price of their meal that made them do a double take, printed on the top of the receipt in black & white were the words “Fat Girls”! 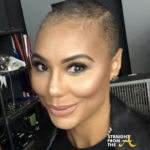 According to ABCNews, the friends had dined out at the Stockton, Calif., restaurant, which is a part of the Cameo Casino Restaurant, on Thursday. 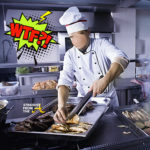 As they were preparing to pay, the ladies received a bill listing charges for three tri-tips with fries and three sodas, for a total of $25.50. 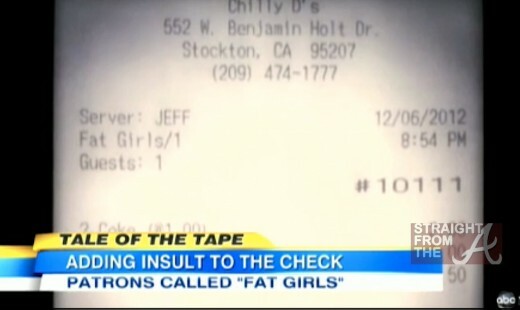 But wait… the bartender who typed in the order had apparently typed in “Fat Girls” to keep track of their bill. 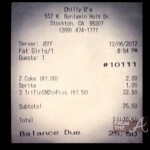 “I got the bill, I was looking at bill [and] I was like, ‘Why does this receipt say ‘fat girls? '” customer Christine Duran said. 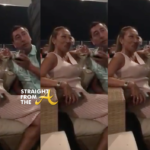 The ladies quizzed their waiter when he returned to their table but he denied any involvement. He said that “Jeff”, whose name was on the receipt, must have typed the offensive slur into the computer as he was taking their order. But he said Jeff had gone for the night. The three women, upset and outraged, demanded to see a manager. When Duran asked a manager for an explanation, he “had like a smirk on his face, like it was funny but trying not to laugh,” she said. 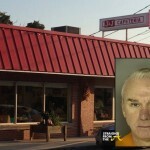 Jimmy Siemers, co-owner of Chilly D’s, didn’t work the night Duran and her friends received the offensive receipt, but he said he is trying to clean up the mess. 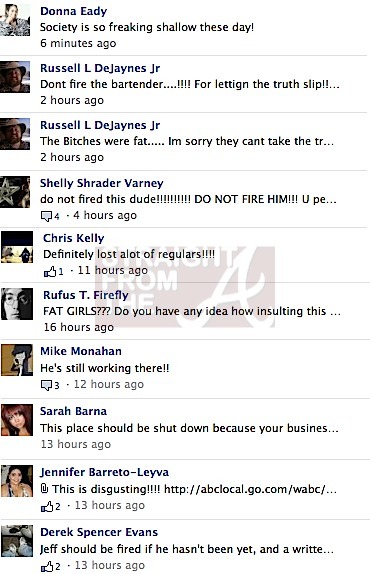 Makes you wonder how your waitress/waiter is referring to you these days… huh? 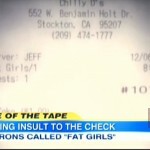 Should the company fire the employee who wrote the ‘Fat Girls” label on the receipt?